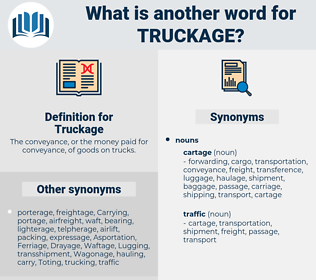 What is another word for Truckage? 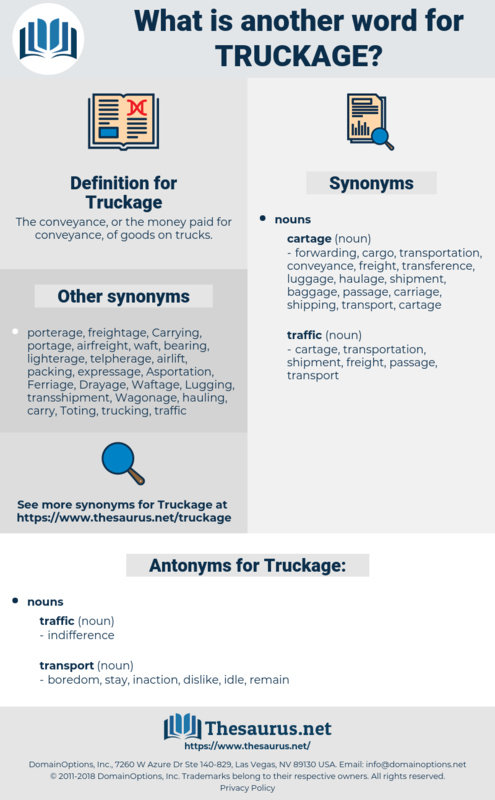 The conveyance, or the money paid for conveyance, of goods on trucks. inaction, dislike, stay, remain, idle, boredom.